Udupi is a small town in Karnataka. It’s very famous for its temples and its cuisine. 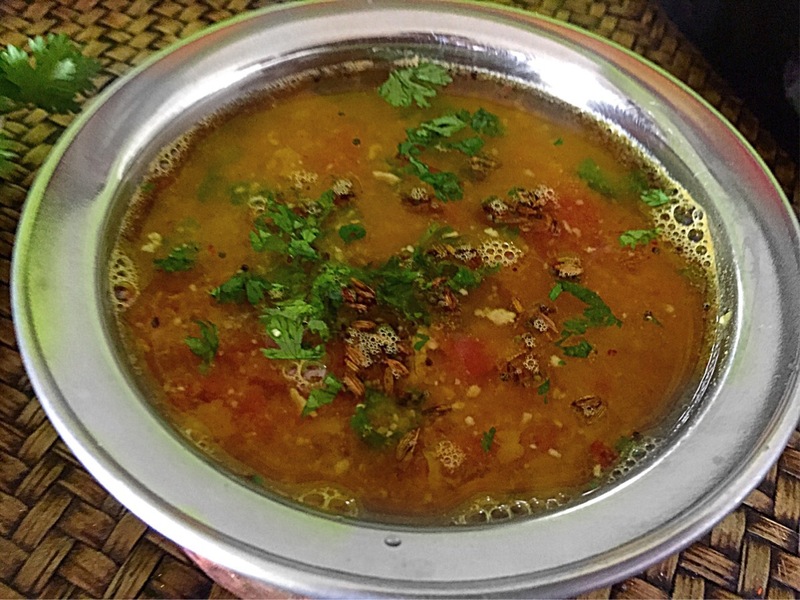 And rasam is one of the very famous dish from this cuisine. 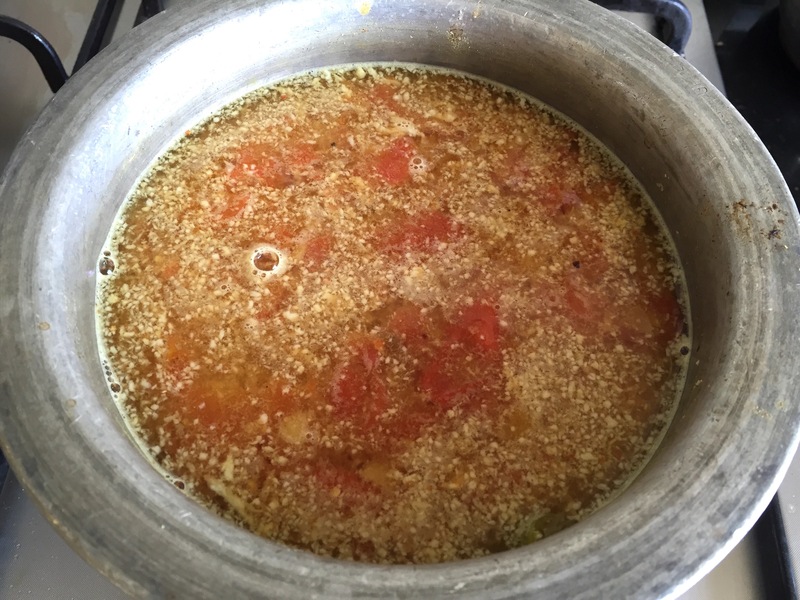 It’s one of the yummiest rasam that I have ever made and my family loves it too. Heat little oil in a pan. 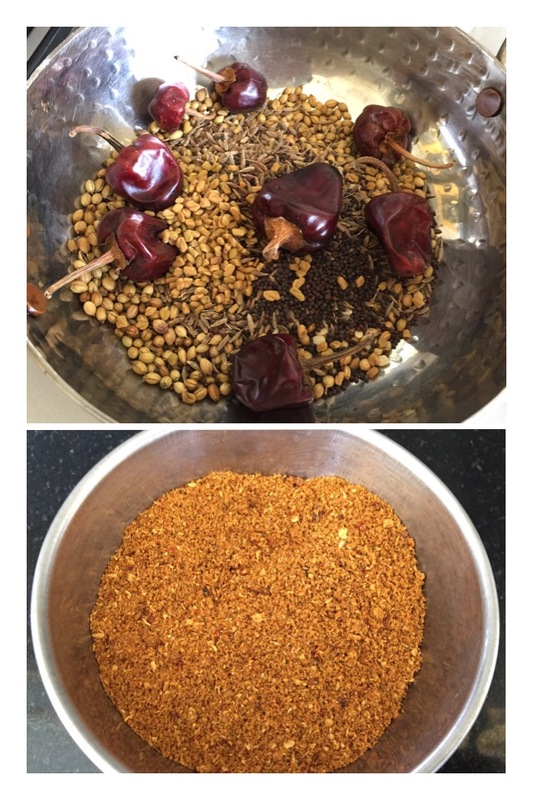 Add all the ingredients mentioned for the rasam powder and roast till you get a good aroma and the spices becomes crisp. Cool and grind it a powder. Soak tamarind in one cup of water for 30 mins. Squeeze well and extract juice from the tamarind. Wash and soak tuvar dal for 30 mins. Drain the water and add 1 cup of fresh water. Wash and chop tomatoes. Wash and slit green chillies. 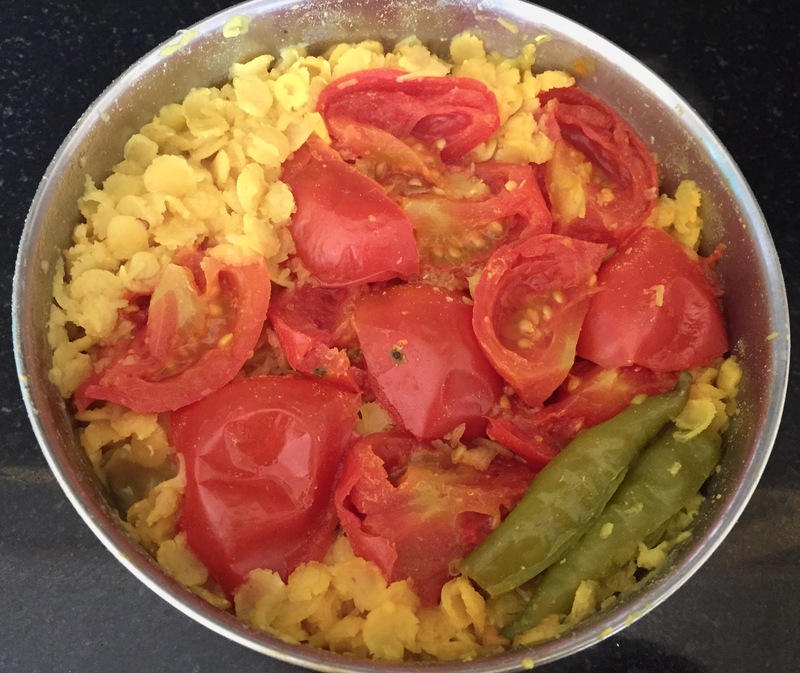 Add the tomatoes, green chillies and turmeric powder to tuvar dal and pressure cook for 3-4 whistles. Mash the cooked dal well and keep it aside. Grind coconut to a paste. 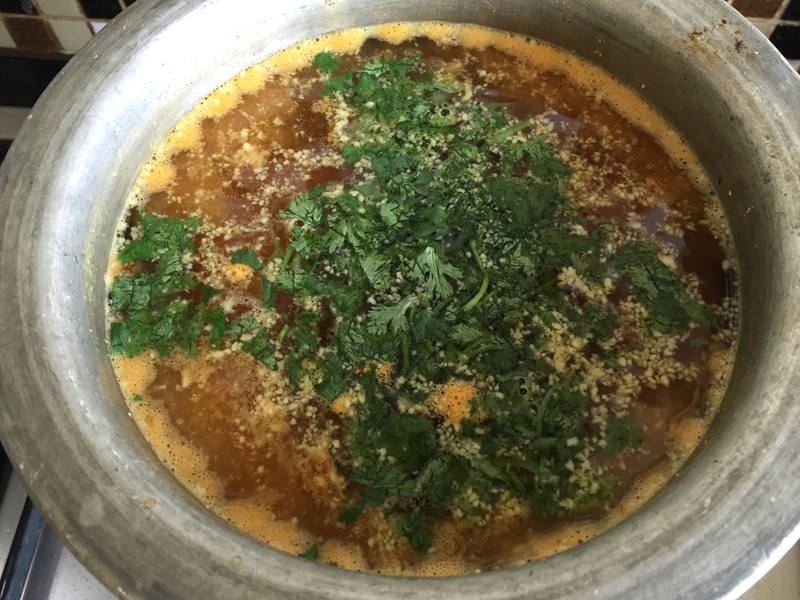 In a pan, add tamarind extract, turmeric powder hing, jaggery and salt to taste. Let it boil for few mins till the raw smell of the tamarind goes away. Add coconut paste and let it boil for few mins. 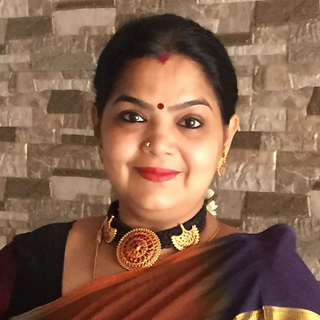 Dilute the rasam powder in a cup of water. Add this and cooked and mashed tuvar dal to the rasam. Check the consistency and add more water if required. Check the seasoning and let it simmer. Heat ghee in a pan. Add mustard, jeera and little hing. 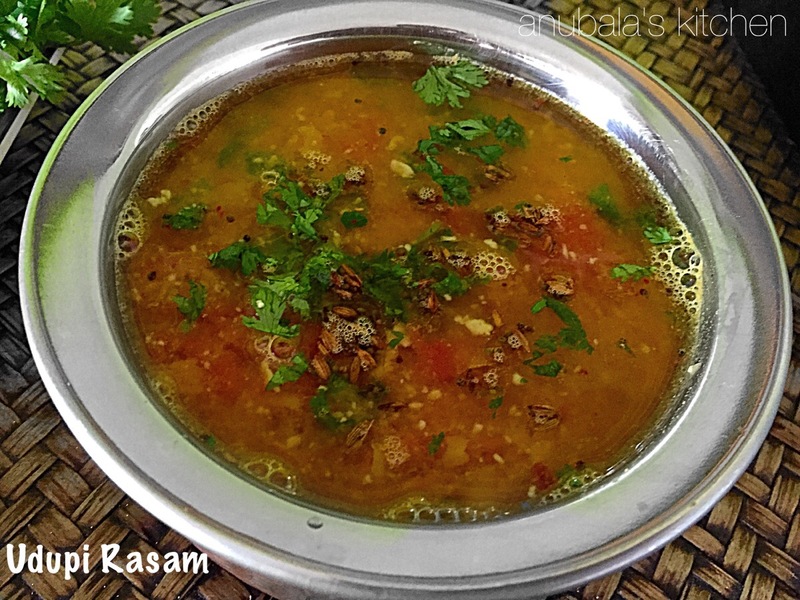 When the mustard stops spluttering, add it to the rasam. I thinj there’s an error in the post. 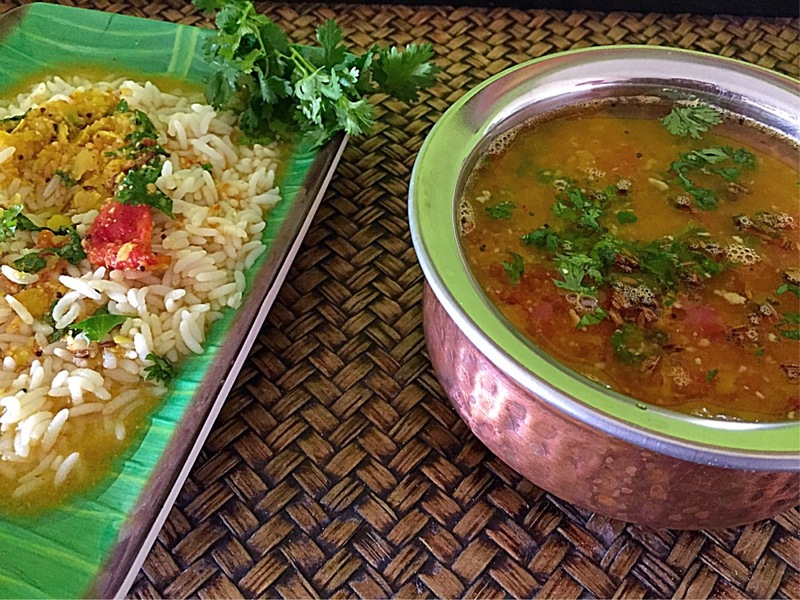 Ingredients of rasam powder are listed below the tempering ingredients…. But when I looked the picture, I got the right idea. Thanks for posting. Fantastic recipe. Thanks to you for bringing this into my kitchen. Please keep posting. I am from JVBB 1981.